Although it was released after the iPhone, the iPad actually predated it as an R&D project. An iPad prototype existed as far back as 2004. At that time, Apple was trying to figure out its multitouch technology for the project that eventually yielded the iPhone. Alan Kay’s Dynabook concept was for a personal computer simple enough for children to use. Tablets appealed to Jobs’ love of simplicity, and to Apple design chief Jony Ive’s love of minimalism. 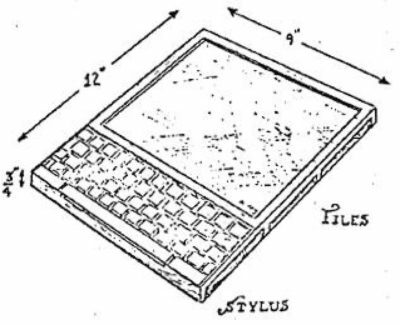 Jobs liked the idea of tablets since first hearing about the Dynabook, a concept dreamed up in 1968 by Xerox PARC (and later Apple) engineer Alan Kay. Apple actually launched its first tablet of sorts, the Newton MessagePad, in the 1990s, although Jobs was outside Apple at the time. When he returned, canceling the MessagePad product line was among his first moves. Nevertheless, folks at Apple kept brainstorming ideas for a new tablet. In March 2004, Apple filed a design patent application for an “electronic device” that looks virtually identical to the iPad that wound up shipping. The main exception was a smaller display, which looked more like the iPad mini. Both Jobs and Ive were listed as inventors. 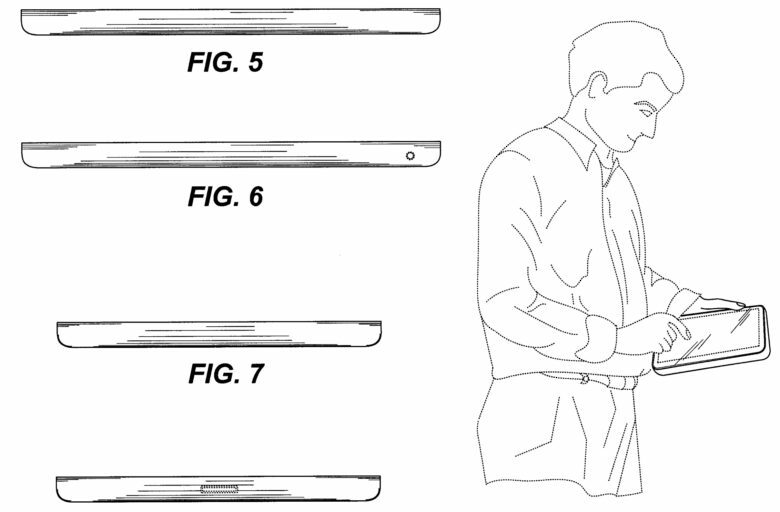 Apple’s 2004 designs for an iPad-like device. 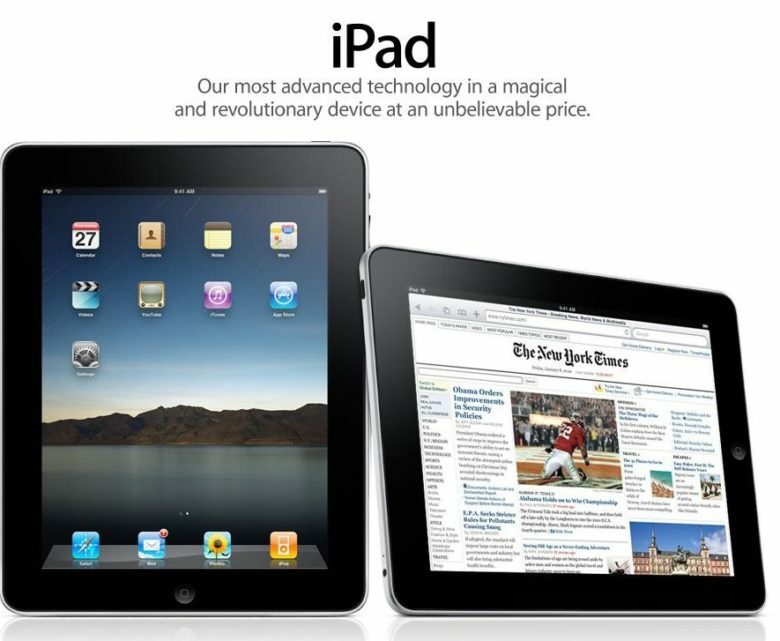 In terms of the technology involved, the iPad was a more straightforward product to develop than the iPhone or iPod. That’s because much of the tech already had been developed for the iPhone. Creating the iPad was just a matter of scaling it up. Interestingly — given the subsequent way the tablet market developed, thanks to companies like Microsoft — it doesn’t appear Apple ever put much consideration into the idea of scaling down a Mac to create the iPad. Whether that will prove, retrospectively, to be a strategic mistake remains to be seen. But the fact is that it was a very Jobsian decision to make. During the iPad development process, around 2008, Apple executives were talking about netbooks. The small, inexpensive laptops were all the rage for other companies at the time. From Apple’s earliest days, Jobs pushed against the idea of making cheap, crippled hardware. So he instinctively disliked the idea of a netbook. Ive, however, pointed out that a tablet computer could compete at a similar price point, and with similar uses, while also being a high-end mobile device. Soon after that, Apple began to seriously experiment with different iPad prototypes. The company created a variety of concepts, including one with plastic handles like a TV dinner tray. Apple tested approximately 20 different sizes, with a variety of aspect ratios. The overall mission statement was to build something that would be akin to a large-screen iPod touch. Jobs’ January 27, 2010, unveiling of the iPad was unlike any other he did. “It’s so much more intimate than a laptop,” he said, showing off the device while reclining in a chair, highlighting the casual relationship users would have with the tablet. In terms of specs, the original iPad measured 0.5 inches thick and weighed 1.5 pounds. It boasted a 9.7-inch multitouch display and a 1GHz Apple A4 chip. You could get it with storage options ranging from 16GB to 64GB of flash memory. It didn’t come with a camera. Apple started taking preorders on March 12, and the device went on sale on April 3. A 3G version followed on April 30. Upon its launch, the iPad became a big hit for Apple. It took less than a month to sell 1 million units — half the time it took Apple to sell that many iPhones. In the iPad’s first year, Apple sold around 25 million of them, making the tablet the most successful new product category launch in Cupertino history. Did you buy an iPad in 2010? What are your recollections of Apple’s first-gen iPad? Leave your comments below.